This unit was fitted with the largest of the magnetrons selected for the project. It is an L-4692 rated at 100kW. It is also mechanically tunable, althought this facillity was not required by the customer and so the mechanism was simply preset to the required frequency. It can be adjusted if necessary by simply opening the lid. Due to the high power rating of this magnetron, the components utilised were chosen to support this power level. Whilstsome of the other frequency variants operate at a much lower power level, they make use of similar components with a few "tweaks" to settings and values. This magnetron was pulled from surplus equipment. Fortunately manufacturers data was available, and so not too much guesswork was involved. As can be clearly seen in this image, the magnetron is mechanically tunable. The mechanism was preset because tunability was not required by the end customer. 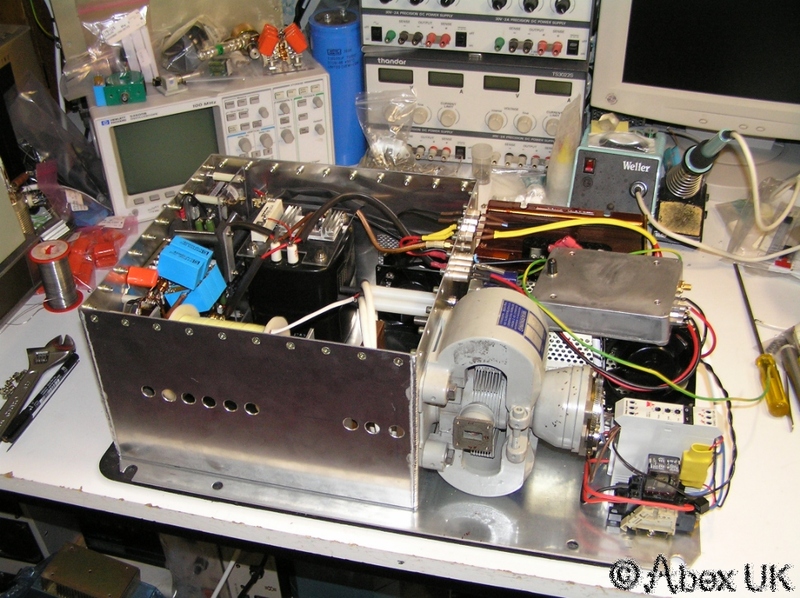 As seen here, the 16GHz magnetron is quite large and it was only just possible to fit it in the required chassis. 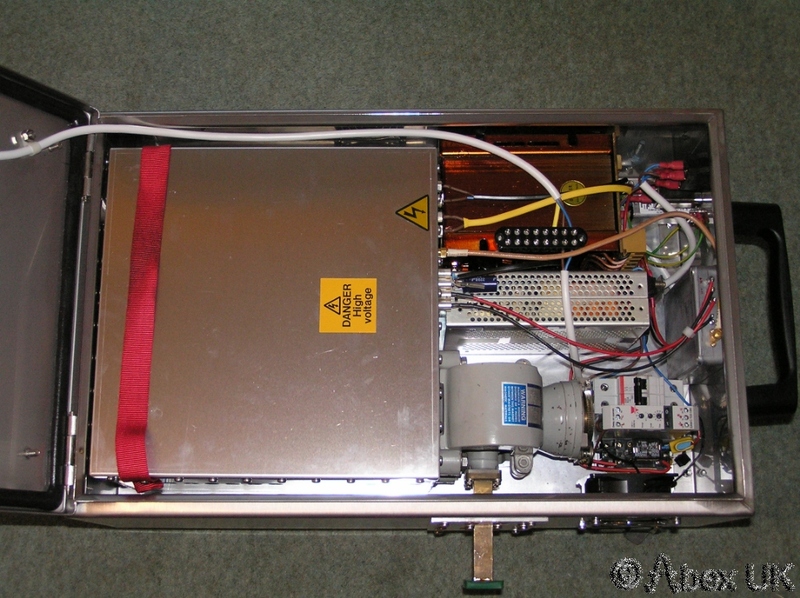 It is mounted OUTSIDE of the HV enclosure, except for the cathode/heater connection which passes through the wall. This arrangement does not result an any additional radiation or leakage issues. 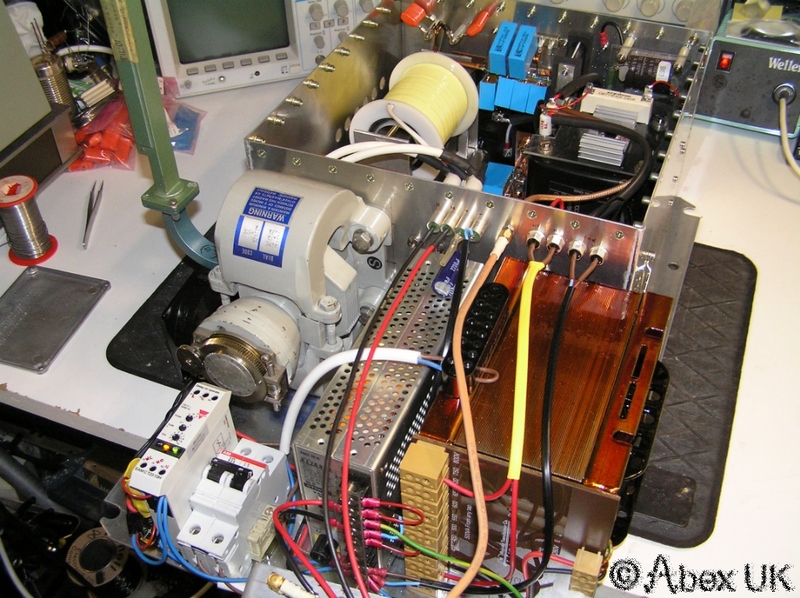 It is sobering to consider that the drive to this magnetron is 20kV and 20 Amps, an input power of 400kW. In this image, a directional coupler can be seen attached to the RF output of the magnetron. The coupling ratio is 20dB, and hence the power at the coupled port is still expected to be 1kW, and great care is required to avoid destroying expensive test equipment. Although the average power is low (duty cycle dependant), the high RF voltages can easily damage components with insuficient ratings, particularly coaxial attenuators. Here we can see the completed unit with the lid open. 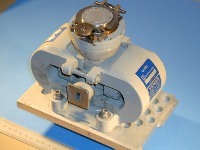 The physical size of the magnetron is evident. 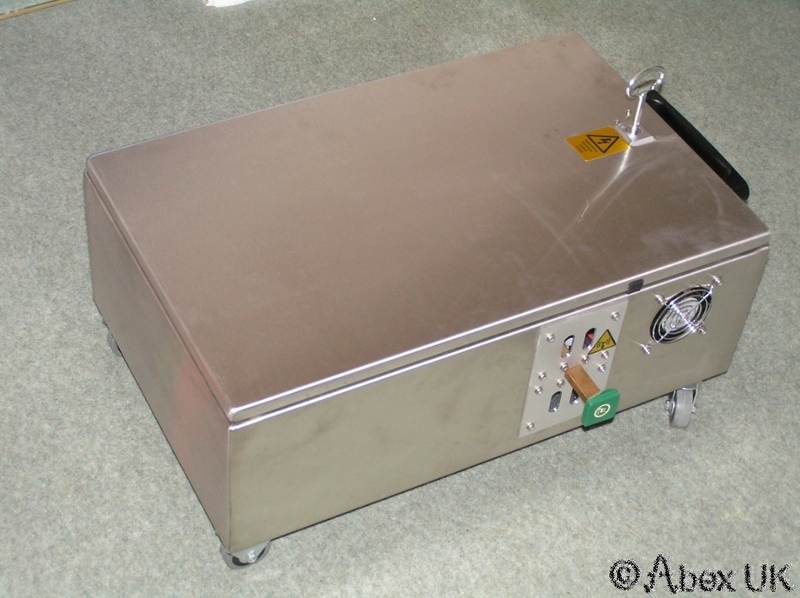 Once the lid is closed, there are no exposed high voltage parts and the lid can be locked as required by the customer. There is in fact a microswitch mounted on the lock which turns off the power if the lid is opened. The unit is fitted with castors and although quite heavy it is easy to position and use.